The best students make the best instructors. Since his first roof installation in 1997, Terry has been a student of the roofing industry. From learning how to navigate through a complicated insurance claim to the correct and proper procedure of installing the roof. Even today he admits, that after over 20 years in the business he is still learning. In 2012 he founded the American Roofing Academy. A training program to teach sales reps and owners how to provide the best customer service in all aspects of roofing a home or business. In 2013 the wheels started turning on what is now Taurus Elite Roofing Systems. Terry’s heart is providing customers with a new look at customer service. Everybody wants to buy but no one wants to be sold. Where 95% of contractors only provide one option to doing business with them, Taurus Elite Roofing Systems can and will provide each customer with up to Five options to remedy their roof issues. This is the business model that Terry and his team live by. Terry is happily married and has one 12 year old daughter still at home. He spends his off time working on his ranch and enjoys developing digging and rock chasing skills with his dog Fenley. Mark Franz, Vice President, has over 15 years Commercial and Residential Roofing experience. His Professional Roofing expertise started after Mark ‘served’ 20 years as a Facilities Manager for several Fortune 500 companies. In this capacity, he was in charge of many commercial construction projects for these companies. Mark is personally accomplished in all phases of Commercial Construction, which gives us the knowledge and expertise to seamlessly integrate our Roofing Systems into the overall plans for your new building, or for the existing components of your current property. 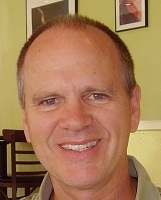 Mark is a 43 year Austin resident and graduated from the University of Texas at Austin with a BBA majoring in Finance. Taurus Elite Commercial Roof Systems, 512-332-4422, provides Commercial Roofing services throughout Texas and the entire Southwest. This includes Commercial Metal Roof repair, Commercial Metal Roof restoration, and Commercial Metal Roof Replacement and Coatings. We have been providing Professional Commercial Roofing services in Texas area for over 20 years. Please give us a call today to schedule a Professional Inspection of your Roof System.